Training for the Community Services sector where employees, staff, and or contractors have to deal with behavious of concern. Where they may face anger, aggression or violent behaviours during their working day. 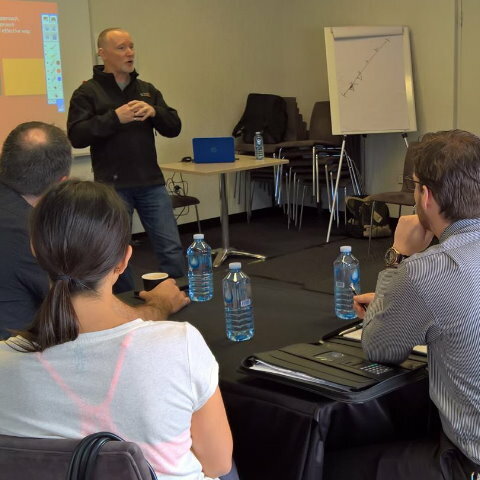 MDTA is about training an individual or teams in techniques and systems that will work for them. MDTA training sessions focus on what will work, while working within the organisations Policies & Procedures. 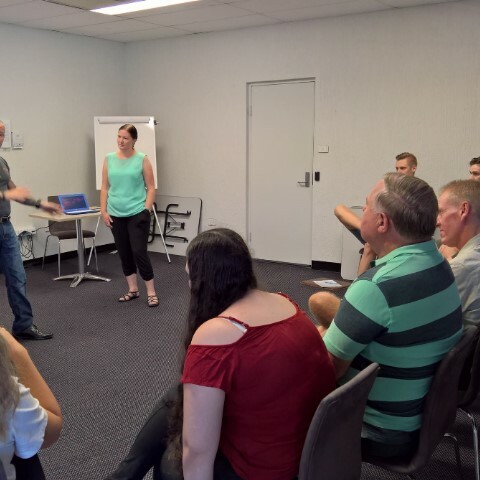 Our programs/workshops are developed to answer the questions and equip your staff, employees or consultants with the needed skills to deal with behaviours of concern. From dealing with individuals where anger, aggression and or violence may be involved. Training individuals working in industries or occupations where there is a need to place themselves in vulnerable situations. Such as front end customer service staff, counsellors, on-site psychologists, and other community services workers. Unfortunately, individuals have become more hostile and aggressive in today's environments. Our training will help equip your staff with real self-preservation and self-protection skills. CPPSEC3002A Manage conflict through negotiation. CPPSEC3013A Control persons using empty hand techniques. CPPSEC2017A Protect self and others using basic defensive techniques. Program options: 2, 3, 4 and 6 hour programs. Training can be held at your location, or at the MDTA Training Center. 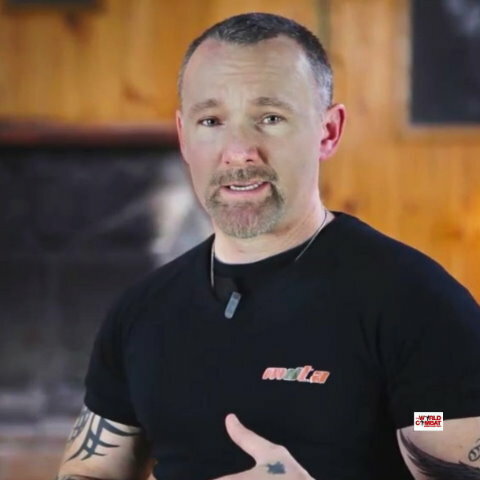 If your not sure what training you require, click here? NOTE: There are NO physical self defence techniques taught in this program, it is all situational awareness only. If you do require a physical component, it can be added. MDTA offer different training options to organisations. Training can be conducted at our facilities and or at your location. We offer different options. 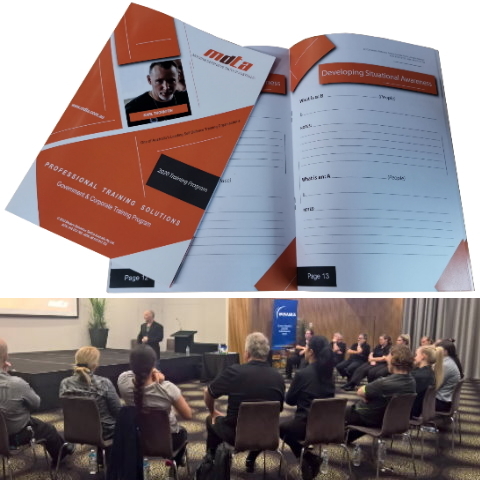 We offer a one off program that runs for either 2, 3 or 4 hours or full day programs depending on your requirements, we also offer ongoing training programs. Managing Conflict including physical escalation. 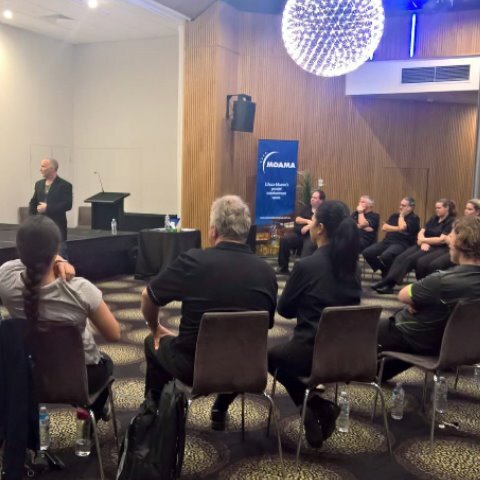 Our complete programs are for training your staff in Situational Awareness as well as Conflict Management training where there is no physical techniques shown, through to the option for physical self defence techniques. These programs also alow for the option for industry specific role play training. These are offered in 3, 4 and 6 hour training programs.